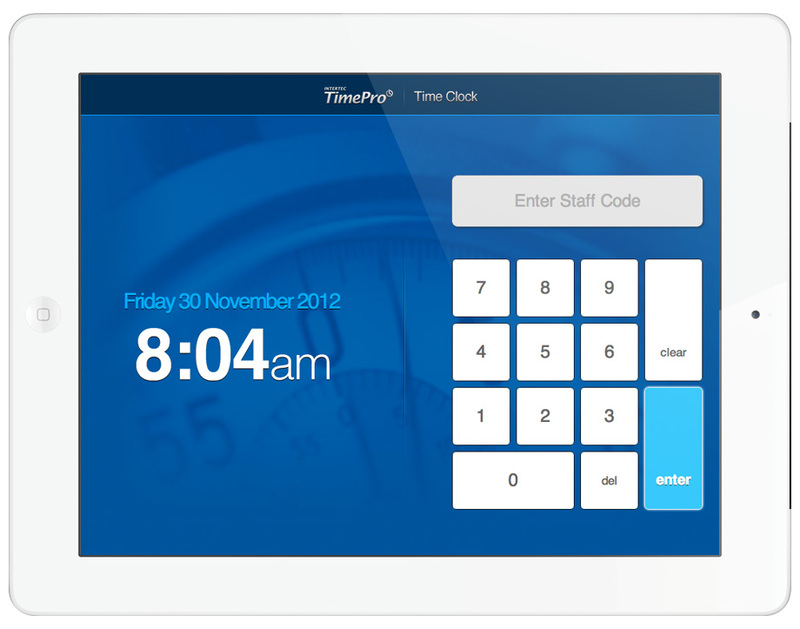 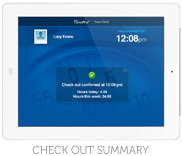 Intertec TimePro Time Clock Interface uses web technology to modernise traditional employee punch in/out time clocks. 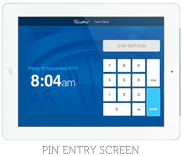 Using Intertec TimePro, Customers can setup a web-based Time Clock on virtually any device that supports an industry standard web browser and is connected to the Internet. 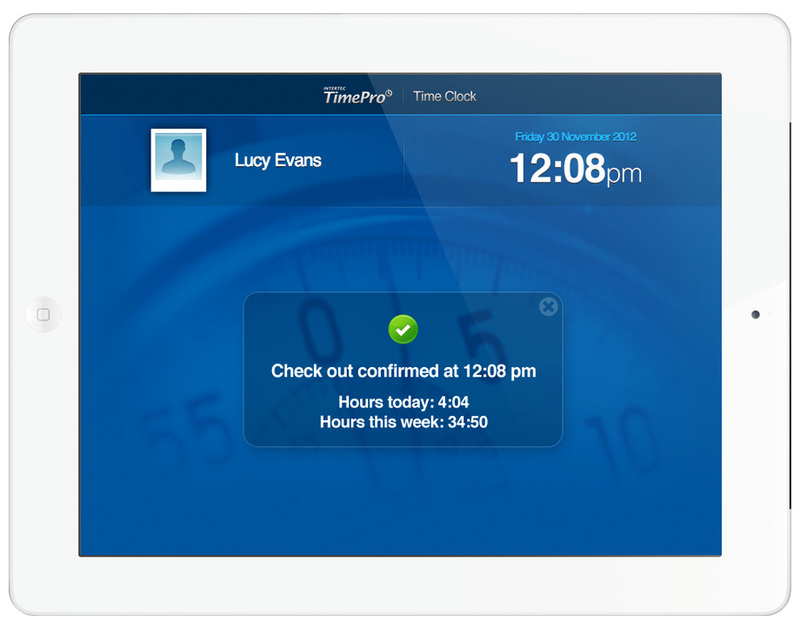 Information captured is immediately available to Administrators using our flagship time tracking and management solution – Intertec TimePro. 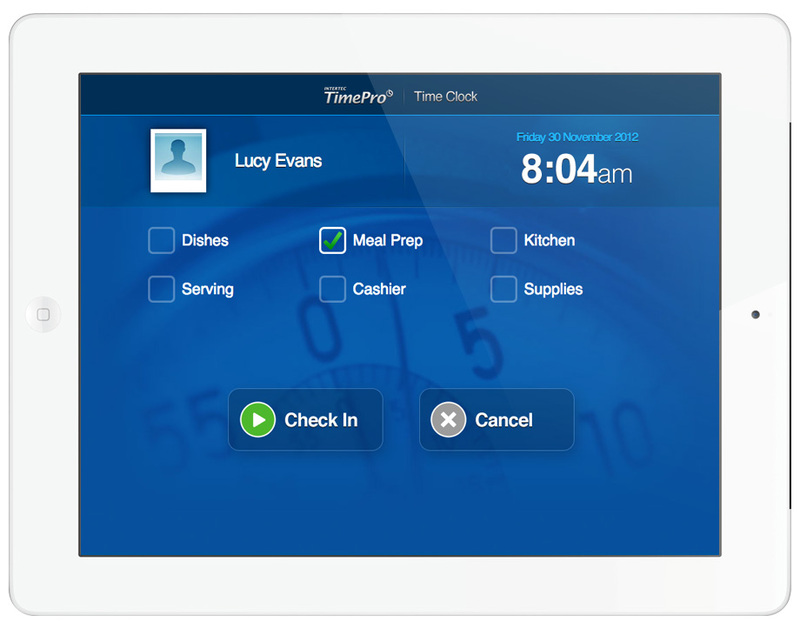 This live information is available for analysis, reporting and integration with accounting systems including MYOB, QuickBooks and Xero. 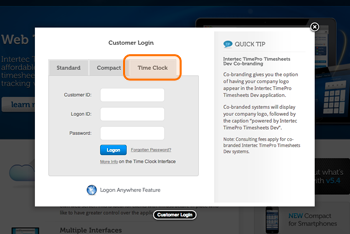 Copy/Paste the following URL into the web browser on your tablet.